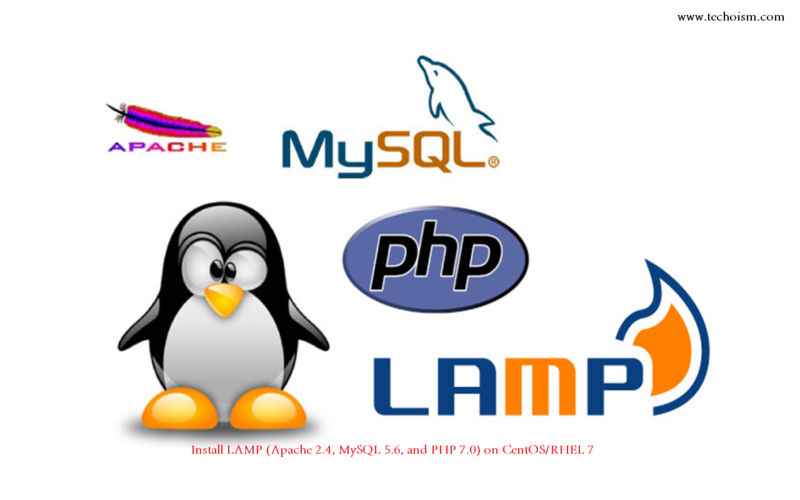 LAMP stands for Linux, Apache, MySQL and PHP. Few days ago PHP version 7.0 has been released. Which has many number of changes and improvements than over version 5.X. This tutorial shows how you can install an Apache2 webserver on a CentOS 7.0 server with PHP7 and MySQL support. LAMP is short for Linux, Apache, MySQL, PHP. Now start httpd service and enable to start on boot using below commands. MySQL is an open source relational database management system (RDBMS) based on Structured Query Language (SQL). Now install MySQL server and other dependency packages. Now start MySQL service and enable to start on boot using below commands. Apply security on mysql and also set root user password. The PHP development team announces the immediate availability of PHP 7.0. Several bugs have been fixed. PHP 7.0.0 comes with a new version of the Zend Engine, numerous improvements and new features. Now install required php modules. Use following command to list available modules and install it. After installing php and other php modules restart Apache service. Now open ports for http (80) and https (443) services using following command.